William James published The Varieties of Religious Experience: A Study In Human Nature in 1902. This book was based on the Gifford Lectures on Natural Religion that James delivered in Edinburgh, Scotland, in 1901-2. William James defined religion as "the feelings, acts, and experiences of individual men in their solitude, so far as they apprehend themselves to stand in relation to whatever they may consider the divine." 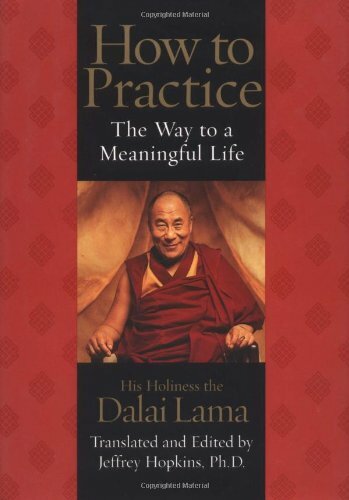 by His Holiness The Dalai Lama, (Jeffrey Hopkins, translator), the Dalai Lama writes about meditation, prayer, and day-to-day living. Available from amazon.com. "Richly anecdotal and beautifully lyrical, How to Practice is the ideal reference for daily practice, illustrating a clear path to serenity of the mind and body. Filled with the playfulness and vivacious spirit of the Dalai Lama, this delightful book is an invaluable key to the richness and wonders of a fulfilled life." --Earth Star, February/March 2002. Available from amazon.com, The Way of a Pilgrim, a classic work of Russian spirituality, tells of a peasant's search for the secret of prayer. Seeking the truth with simple humility, he finds joy and plenty everywhere in life.